Artway Duo performing after 6 years in the city of Banska Bystrica again. This time in chamber club-hall Bohema, together with our dear friend and opera soloist Simon Svitok. 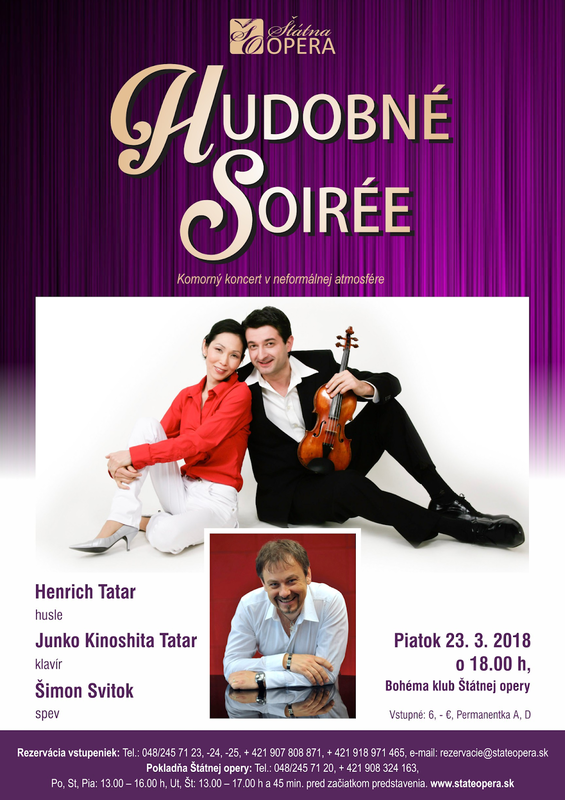 A beautiful evening full of encores for violin and piano, and Tchaikovsky's "Souvenir d'un lieu cher", and Songs from opera, left us happy with many new friends from the audience.